Northumberland County will lose 700 jobs when General Motors Oshawa plant closes sometime before the end of the year, says the president of the union. 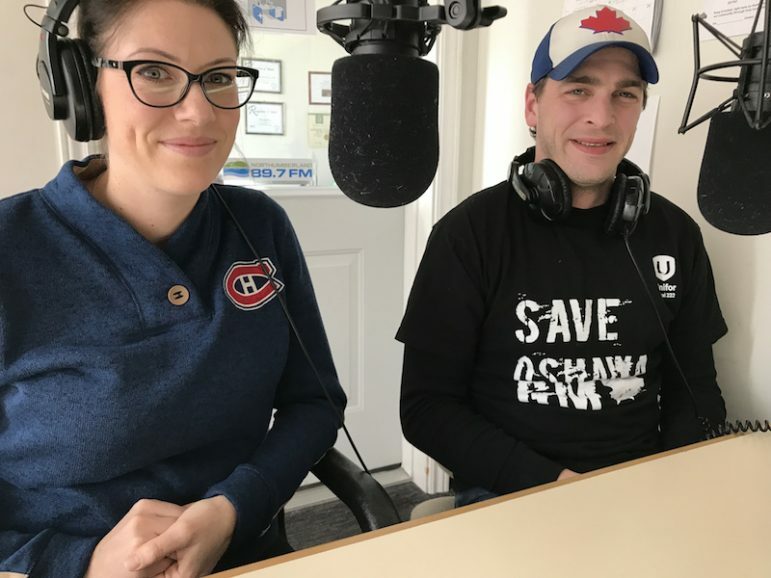 Colin James, president of Unifor Local 222, outlined the impact within the area as he explained the repercussions of the announcement by General Motors in November to close the Oshawa operation sometime towards the end 2019, putting 2,600 workers and 340 staff out of work. He warned of the economic effect to Port Hope, Cobourg, Colborne and the rest of the region. Former Oshawa Mayor John Henry said in a recent news article the ripple effect of the closure will be felt far beyond the borders of his city. “It [the closing] will affect a lot of people. Not every auto worker that’s in the plant lives in Oshawa. It will affect a lot of communities, Port Hope, Cobourg, Peterborough, Lindsay, City of Kawartha Lakes and then all of Durham region,” he said in an interview with the Globe and Mail. One example of the local ramifications is Jackie Sobil, 32, and Andrew McGill, 35, both commute to jobs at GM. They live in Cobourg with their six-year-old daughter. Sobil has worked for GM for eight years, while McGill has spent 16 years on various lines. “I think l slept maybe two hours,” Sobil said after hearing the news. The impact was immediate and direct. The couple cancelled a winter vacation. They have adjusted their lifestyle and budget to reflect their new reality, she said. Going to work is stressful, as they meet fellow workers filled with anxiety and concerns over their future. And, while the union is fighting the closure, the workers are looking for answers as to what will come next, she added. Still, the support they get from family and the community is critical, she explained, adding the Save GM signs dotted across the county speak volumes to those going through hard times. “I would love to see people continue to support us, to see the support with the lawn signs, even though there may be nothing we can do. It means a lot,” McGill said. He also called on local governments and politicians to speak out. Both Sobil and McGill believe the effort of the union to fight the closure is vital, despite public declarations by GM it will not change its mind. “You have to fight. What else is there?” McGill said. The union has held one wildcat strike and several public protests, including a major one in Windsor last week. The union put forward a proposal to keep the plant opened, but GM managers rejected it. The company is moving manufacturing of the products from the Oshawa plant to Mexico and China. BMO economists say the provincial and federal governments will each lose $500 million per year in tax revenue. The estimated cost to the Ontario economy is expected to be $5 billion overall. By 2025, 14,000 jobs will be lost. General Motors will keep operating its plants in Ingersoll and St. Catharines, along with its research facility in Markham.